We sat down with James (Jim) S. Thompson, Vice President of Component Operations for Johnson Controls. During our interview, Thompson provides a high level overview of Johnson Controls International Plc. and their global reach in building and energy growth platforms to more than 150 countries. Thompson shares details about the Florence-based recycling center opening in 2011 and its significant growth and economic contributions to the State over the past five years. He shares why the area was selected, his work with colleges and his pride in the local workforce and community. Headquartered in Milwaukee, Wisconsin, Johnson Controls has evolved into a global leader in diversified technology in building efficiency and power solutions since its founding in 1885 with the invention of the first electric room thermostat. Today, they are a multi industrial leader serving customers in more than 150 countries. Johnson Controls provides a wide range of products and services including: intelligent buildings, efficient energy solutions, integrated infrastructure and next generation transportation systems. There are two main divisions that roll up under the umbrella of this global, powerhouse corporation. 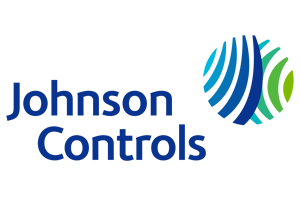 Johnson Controls Building Efficiency is a leading provider of equipment, controls and services for heating, ventilating, air-conditioning, refrigeration, and security systems. Johnson Controls Power Solutions is the leading supplier of lead acid batteries for virtually every type of passenger car, light truck or utility vehicle as well as the leading independent supplier of hybrid systems. The Johnson Controls Recycling Center is a world-class facility that provides used battery recycling protecting our environment and resources, by keeping batteries out of our landfills and reusing raw material for new battery production. The Johnson Controls Recycling Center is part of the Power Solutions division and is located at 1226 Broughton Boulevard in Florence, SC. The facility was opened in 2011 and features a range of advanced and proven environment control technologies and works in tandem with the Department of Health and Environmental Control (DHEC). The Florence Recycling Center ensures hundreds of millions of spent batteries are properly recycled every year and avoid being disposed of in landfills, protecting the environment. The Florence recycling system recycles close to 13 million batteries every year, turning those materials into the raw materials that make new batteries, also protecting our natural resources. “We do a lot of organizational work as well such as Big Brothers, Big Sisters, and March of Dimes, to name a few. We help local schools and churches and get involved in other community projects. In Oconee County, we even clean hiking trails. It’s critical for us to be involved in our communities. This is not only myself, but our plant managers and leaders and hourly people all get engaged.” He said. James (Jim) S. Thompson has served as Vice President of Component Operations in the Power Solutions division for Johnson Controls since January 2013. Thompson joined Johnson Controls in 2005 and served as Director of Distributions and Director of Component Operations for the Americas before promoting to his current posts. Thompson received his BS degree from Nebraska-Lincoln in Mechanical Engineering and his MBA from University of Michigan in Finance and Marketing.